There have been more and more studies appearing that are reporting climate change as the culprit for changes in size, population and adaption for different species. However, a recent study of moths has found that the increase or decrease of population cannot only be attributed to climate change but other factors. 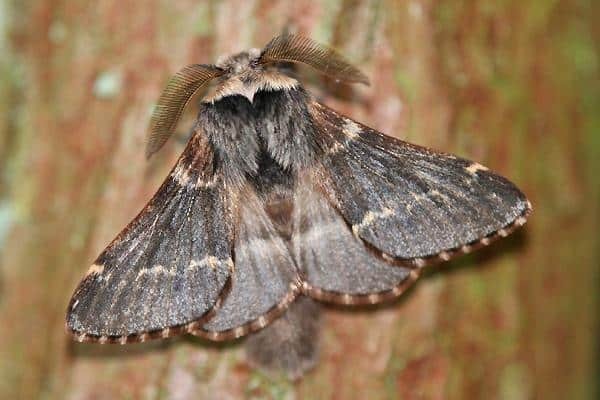 In a University of Michigan study conducted over 32 years, researchers studied the populations of subarctic forest moths. This study, ran from 1978 to 2009, used light traps at night to catch around 388,000 moths from 456 species at Varrio Strict Nature Reserve in Finland located 155 miles north of the Arctic Circle. This study provides a unique insight on the roles that ecological forces have effected populations and proves that increased precipitation and warmer temperatures affects the rate of population growth. Most recent moth studies have found a decrease in moth population, but researchers were surprised to find the moth population stable or even increasing in some species. Mark Hunter, the Henry A. Gleason Collegiate Professor in the University of Michigan Department of Ecology and Evolutionary Biology states that, "Every time the weather was particularly warm or particularly wet, it had a negative impact on the rates at which the populations grew. Yet, overall, most of these moth populations are either stable or increasing, so the only possibility is that something else other than climate change—some other factor that we did not measure—is buffering the moths from substantial population reductions and masking the negative effects of climate change." This means that if the unknown ecological force is helping buffer the moths from a population decrease, this could mean that it is also skewing the impact of climate change on other species. In this theory proposed by Hunter, this means that scientists are underestimating the harmful effect that climate change has on animals and plants. The question then becomes: What is this buffer and how long can it hold out?